To date, the courts have rejected such complaints. Since wind turbines enjoy special rights, fighting them in court is an uphill battle. After a long battle, she won the case — and the giant turbine was torn down. Other legal grounds can also apply. According to the German Emission Control Act, noise levels in mixed-use residential areas may not exceed 45 decibels at night. For a long time, no one knew what that meant exactly in terms of distance in meters. Now the courts have ruled on this, too, in a case that might just upset Germany’s entire energy revolution. A woman from Marxheim, a town in western Bavaria, brought a case in the Munich Higher Regional Court. Her typical farmer’s house, decorated with flowers, was situated 850 meters from an Enercon E-82. She claimed that the sound waves boomed “across field and forest” to where she lived. The case documents talk of “hissing,” “whizzing” and “puffing noises.” A specialist in acoustics recorded a volume of 42.8 decibels, adding a further 3 decibels to this because of what is known as the “impulsiveness” of the noise. The result? The wind turbine now has to operate at a reduced speed between 10 p.m. and 6 a.m., which renders it unprofitable. Enercon is appealing to the Federal Administrative Court. But its chances of winning look slim. Hundreds of propellers are located in the zone that has now been deemed forbidden. Could a large-scale thinning out of turbines now be in the cards? Attorney Armin Brauns from Diessen, in Bavaria, is predicting a “wave of cases,” and his office is overflowing with case files. “Some local authorities behave unfairly with respect to protecting the countryside, circumventing existing laws,” he says. These disputes come at a very awkward time for the wind-power industry. The country is expecting to see many thousands of new wind turbines up and running in the near future. But, at the moment, orders are few and far between. For a long time, the companies grew fat on feed-in tariffs, which provide guaranteed prices for green energy at above-market prices subsidized by the government via surcharges on consumers’ power bills. Indeed, an entire industrial sector developed into a subsidy giant. The result? Bloated firms with excess capacity. International markets are also collapsing, which makes things even worse for the industry. The two most important countries for wind power have both reined in further construction projects. The United States is instead going for cheaper “fracking,” the controversial method of using hydraulic fracturing to extract shale gas. China, on the other hand, has problems with its power grids, which is dampening its enthusiasm for wind turbines. Stephan Weil, the governor of the northwestern state of Lower Saxony, recently warned that 10,000 jobs in the state’s wind industry were at risk. 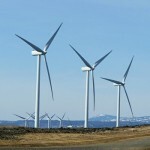 The Danish manufacturer Vestas has already been forced to cut some 1,400 positions. Cem Özdemir, the national chairman of Germany’s Green Party, claims that environmental protection “is a great opportunity for our country — economically, too.” But, in reality, everything is getting more expensive. At the European Energy Exchange in Leipzig, electricity costs less than 3.5 cents per kilowatt hour (kWh). But consumers currently pay 27 cents for each kWh because the price is overloaded with taxes and environmental fees. There are many reasons for this. For example, all the electrical work involved in setting up offshore wind turbines and connecting them to the onshore grid is much more costly than was originally thought. The acrobats on the high seas are doing pioneering work, and the risks of failure are high. Rather than calmly developing elegant offshore technology, German politicians have put themselves under pressure by setting the deadline for ending the production of nuclear power in Germany at early in the next decade. Everyone is in a rush. So when costs go up at sea, the wind turbines immediately swarm inland. But that leaves just one more problem: Things aren’t much cheaper on land, either. Giant electricity highways are needed to transport the energy southward from the turbines along the northern coastline. And that necessitates a complete restructuring of the national power grid. Around 2,800 kilometers (1,740 miles) of new extra-high voltage lines are needed, plus 7,000 kilometers of distribution networks. Cost estimates put the figure at between €10 billion and €20 billion. It’s a massive undertaking. To get things moving, Germany’s federal government introduced the Infrastructure Planning Acceleration Act back in 2006. This was followed in 2009 by the Power Grid Expansion Act. And, just five weeks ago, Germany’s federal parliament passed the Federal Requirement Plan Act. But despite the legislation, the actual amount of new electricity grid infrastructure that has been constructed is surprisingly small: Just 268 kilometers of the planned grid expansion is currently up and running. Why the delay? One reason is the many thousands of hysterical “electrosmog” campaigners who fight every new section of 110-kilovolt line as if it were the work of the devil. And the wind farms are always accompanied by their ugly step-sister: the overhead power masts carrying the power lines. What about underground cables, then? This is what the protestors are demanding. What they forget is that 380-kilovolt lines laid underground require copper strands as thick as your arm to avoid overheating. And they are incredibly expensive: All in all, underground cables can cost up to 10 times as much as overhead cables. Often, the bottlenecks in the grid are already so big that the wind turbines are turning for no reason. When there is a stiff breeze, they have to be held back. This led to 127 gigawatt hours of power being wasted in 2010, or enough to meet the annual energy requirements of 100,000 residents. CanWEA must be smarting from the decision, which marks the first time a project approval has been reversed in Ontario. We are not sure how the thing got this far in the first place, when the Ministry of Natural Resources actually granted approval for the wind power developer to “kill, harm and harass” the Blanding’s Turtle. So on Friday, CanWEA put out a news release to say the Environmental Review Tribunal actually upheld the idea that there is no “direct or indirect” health threat from the environmental noise from industrial-scale wind turbines and further, that the 550-meter setback in Ontario is safe. A reading of the actual decision could lead you in a different direction, however. The fact is, the Ostrander Point project was an important bird area, but not that many people live there. Eight, in fact. So, as the panel stated, the tribunal had to look at this project, as it does all of them subject to appeal, on a project-by-project basis. This appeal featured testimony from 11 “post-turbine witnesses” i.e., people already living among or next to the wind power generating projects in Ontario. Here are some of the statements from the decision that CanWEA is NOT referencing. The Tribunal wishes to emphasize that it found no attempts by any witness to mislead the Tribunal. …The Tribunal has no difficulty finding that all the witnesses were credible, and some of the health conditions they described could certainly be described as seriously impacting their quality of life. With respect to the proposed case Definition of AHE/IWTs (adverse health effects/industrial wind turbines), the Tribunal finds that it is a work in progress. It is a preliminary attempt to explain symptoms that appear to be suffered by people with whom [witness] Dr. McMurtry is familiar, who live in the environs of wind turbines. 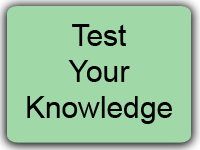 The Tribunal accepts the witness’ testimony as entirely credible; however, there are dangers inherent in attempting to draw general conclusions from anecdotal, personal and unique experiences. It is even more problematic to apply conclusions made from those unique personal circumstances at a certain location, to projects at other locations. The Tribunal also raised the issue of public safety in an area such as Ostrander Point which is used by the public for recreational purposes. The Ministry of Natural Resources cannot have things “both ways,” the Tribunal said, in encouraging the public to make use of Crown land, while also permitting it to be used for industrial purposes. Nevertheless, despite the evidence of health effects from the environmental noise and vibration produced by wind power projects, and the experiences of people from around the world, the Tribunal failed to acknowledge the strength of that evidence. “The ERT panel declined to connect the health evidence with expert opinion. Instead, it argued that medical diagnoses and noise studies are required. These demands far exceed the legal test that wind victims are “more likely than not” suffering “serious harm to health” from wind turbines. APPEC is therefore considering an appeal to the Ontario Divisional Court. Meanwhile, APPEC contends that the Ministry of Environment should re-examine existing regulations and exercise caution in approvals of the siting of all new wind power projects. There is sufficient evidence to justify a precautionary approach. What the Environmental Review Tribunal did NOT do then was protect the citizens of Ontario; the Government of Ontario continues to enact a flawed process that is heavily weighted toward big business, and in opposition to the interests of citizens and the natural environment. Following the acceptance by the EU Court of Justice of a legal challenge issued by EPAW [European Platform Against Windfarms], the question is now whether the EU renewables programme is unlawful? The 608 associations of actual and potential victims of windfarms from 24 countries that make up EPAW are naturally hailing this as a first victory in their fight towards holding the European Commission accountable for the catastrophic results of its energy policy. They claim that the rights of European citizens have been violated in the progress of this policy and that justice is now in sight. EPAW’s argument is that the European Commission has failed to conduct technical studies calculating how many tonnes of fossil fuels will really be saved by the hundreds of thousands of wind turbines it wants to force onto rural populations and on avian and marine life. For instance, the European windfarm policy is based on the idea that any electricity produced by windfarms would save the amount of fossil fuels that would be necessary to produce it by conventional means. Duchamp says: ‘This erroneous claim, promoted by the wind industry, has been adopted by the European Commission without due diligence. ‘Had they done their homework, they would have discovered that fossil fuel power stations, forced to ramp their production up and down to balance the erratic production of windfarms, are burning more fuel in the process, like a car leaving the highway and getting caught in city traffic. This aspect of EPAW’s recourse to the Court of Justice shows how important it may be for the future of Europe. EPAW says: ‘If windfarms are not helping to save on our consumption of fossil fuels, then they have no raison d’être and should be scrapped’. ‘Indeed, the collateral damage they cause is unsustainable, from people’s health to birds and bats, from subsidies to growing public debt, and from fast-rising power bills to the wholesale destruction of jobs [Ed: reference in note 4 below]. ‘These aspects of the EU programme have not been assessed either, and were certainly not communicated to the public in a transparent manner. The Aarhus Convention is turning out to be a useful protector of the environment, with its signatories having foolishly hoped that it would never be serioulsly used. Argyll campaigner, Christine Metcalfe, and Avich and Kilchrennan Community Council used the Aarhus Convention, to hold both the UK and the EU to account in respect of its challenges to emissions figures on a proposed Loch Aweside windfarm – which were simply ignored. We will shortly be reporting on the decisions made on this case by the Compliance Committee of United Nations Economic Commission for Europe who heard Christine Metcalfe’s submission at the end of 2012. Did Nextera anticipate the flurry of articles and media interest that has occurred by suing Rock Garden specialist, and anti-wind activist, Esther Wrightman? And what is the subtext to the 32 Billion (Market Capitalization) company (with numerous paid lobbyists), lawsuit that on the surface incorrectly mentions being called “terrorists” by the blogger, Wrightman, and an antipathy for satirical use of its logo? (Wrightman did not use the word terrorists, but merely changed the logo to “Nexterror,” which could be read as Terror, or Error. This satiric branding, in both shapes, it should be mentioned, has been used by many activists for some time now. Wrightman’s claim to fame in Ontario is her tenacity, her vociferous and catchy, truly clever appearances at protests. Her video document of Nextera’s removal of an Eagle nest, with video clips of workers saying it was to be “destroyed” has gone viral. This same permit for removal came late on a Friday, with the odious work to be completed by Sunday. Ostensibly, this was an effort to remove public scrutiny from an already eagle death-tainted company. The removal of the nest got international attention, but the lawsuit is something of a gift to the movement, which is using the suit as an “educable moment,” and of course to respond to the long standing commitment to company profits over the environment that Nextera has shown. What many now see as the “face” of this wind company is flagrant bullying. It is certain that the parody of “terror” and wind will escalate now. The lawsuit being advanced in Canada, by Florida wind developer, Nextera, shines even more light on the company’s history of bird kills, bullying, and flagrant abuse of power. This suit, filed in a Toronto courthouse this past week, is against a homemaker and rock garden plant expert, a humble but formidable blogger against wind power, who had the temerity to satirize a billion dollar wind company. The Ontario lawsuit also focuses international attention on the history of a wind company that has touched on its own historical legal woes in California. We can only assume that the $2.5 million in mitigation fees were paid to the “Energy Commission’s Public Integrated Energy Research Program, and the East Bay Regional Park District and the Livermore Area Park District for raptor habitat creation,” is presumably a slap on the wrist for a company which in 2012 had operating revenues of 14 Billion. Certainly, as pointed out by several bird experts, the numbers of massive bird kills, vastly understated by USFWS and Ministries of Natural Resources, USA and Canada, would reflect on certain terror for those species whose numbers continue to plummet. There is no doubt that species such as the Whooping Crane, whose wide migration tangles with turbines and transmission sprawl, will become extinct. Predictions of the mortalities continue to escalate, and many have documented the countless maimed birds that die far from the count area. Numbers in the USA alone are now estimated at between 37 and 42 million per year. This appears to be an industry literally with a licence to ‘kill.’ Well documented now are the sometimes intensely personal accounts of bird mortality counters, and confessions of how the industry places count areas strategically to avoid finding too many dead birds and bats, and the history of burying or hiding birds in excess of allowed numbers. US laws are firm on penalties for killing endangered Golden or Bald Eagles: a fine of up to $200,000 and/or up to 18 months in a federal prison. OR, Nextera and others, may apply for a new permit to harm, harass and kill, and receive that permit for up to 30 years. If this is a fair field for wildlife, Alice is down the Rabbit Hole again. 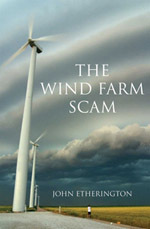 Wiegand elucidates the misshapen truth: “The wind industry and FWS both use deceptive wind turbine eagle kill numbers. With voluntary regulations and no accountability, they routinely lie or give out half truths about eagle mortality. Esther Wrightman, again in her statement of defense, says, “Although Nextera claims … it has a complete understanding of the local environment, including wildlife,” the Defendant notes that Nextera has missed at least two active Bald Eagle nests in its assessments in the past year alone in Ontario. The defence also references two videos, one showing the destruction of the Eagle’s nest, and the other quoting Tom Bird of Nextera saying, “The authorization we got from the Ministry of Natural Resources was to ‘destroy this nest’.” Despite the expert advice of an eagle biologist who strongly advocated against the removal of this particular nest, eighteen workers then descended with chainsaws, cranes and bulldozers and cut down an active nest. Next Era has 9,000 turbines across North America, more than any other wind producer. A Submission to Niagara At Large from one fine communications manager, John Hassell, for the not-for-profit environmental organization Ontario Nature. This latest news about the gutting of even more of the protections we have left for endangered species in this province of Ontario, Canada, where regulations for protecting species on the worldwide endangered list are already among the weakest in the developed world, is particularly discouraging. I had hoped that the new Liberal premier of this province, Kathleen Wynne, would be a little more of an environmentalist than her God-awful predecessor Dalton McGuinty. But maybe not. Toronto, May 31, 2013 – The provincial Cabinet announced today May 31st) its approval of sweeping exemptions for industry under the Endangered Species Act, 2007 (ESA). Environmental organizations are incensed at the government’s abdication of its responsibility to protect and recover Ontario’s endangered plants and animals. The new exemptions lower the standard of protection for endangered plants and animals across many industries, including forestry, pits and quarries, renewable energy, hydro, mining, infrastructure development, waste management, and commercial and residential development. They also dramatically reduce government oversight of activities affecting Ontario’s lakes, rivers, forests and wildlife. Among the exemptions is a special five-year exemption for the forestry sector, which leaves forest-dwelling species like the threatened woodland caribou out in the cold. Listed as threatened in Canada in 2000, the woodland caribou has already lost about 50% of its historic range in Ontario and continues to decline, due to industrial activity. “I guess we’ll need a new animal for the Canadian quarter,” says Dan McDermott, director of the Ontario Chapter of Sierra Club Canada. The costs of administering the ESA were one of the factors driving the decision. Environmentalists question, however, the wisdom of Cabinet’s decision even from an economic perspective. A government study in 2009 determined the value of ecosystem services (pollination, carbon sequestration, soil retention, flood control, etc.) in southern Ontario alone at over $84 billion per year. John Hassell, Communications Manager, Ontario Nature: 416-444-8419, ext. 269; cell: 416-786-2171; johnh@ontarionature.org. Dan McDermott, Sierra Club Ontario Chapter Director; cell: 416-873-3852; dmcd@sierraclub.ca. Dr. Anne Bell, Director of Conservation and Education, Ontario Nature; cell: 416-659-2339; anneb@ontarionature.org. Ontario Nature protects wild species and wild spaces through conservation, education and public engagement. It connects thousands of individuals and communities with nature through conservation groups across the province (charitable registration #10737 8952 RR0001). For more information, visit www.ontarionature.org. – Amy Linn, “Whirly Birds,” SF Weekly, March 29-April 4, 1995. The Shared Narrative of windpower as ”green” is under assault. What was relegated to the shadows in years and decades past is coming out as never before. Earlier this month, AP environmental writer Dina Cappiello’s exposed the federal government’s double-environmental standard towards windpower. As such, she ’mainstreamed’ the work of wind critics Robert Bryce, Paul Driessen, Sherri Lange, James Rust, Tom Tanton, Jim Wiegand, among others. On November 21, 2012, I provided a submission to Health Canada , on request, and on behalf of the Brindley family who left their farm in Ontario and now farm in Saskatchewan . Documentation regarding that submission had been verified by the family. The file name of the submission was: “Brindley_Health Canada Submission Nov 21 2012 FINAL”. The purpose of this submission is to inform Health Canada that documentation regarding deformities to horses is available. I declare no conflicts and have received no financial support for the research, authorship, and/or publication of this submission. Indications are that industrial wind energy facilities may cause harm to cattle and horses. It is possible this risk could extend to other animals. There is an opportunity for Health Canada to invoke the precautionary principle and to consider the risk to animal life. Reports of risks to humans including children have been provided in previous submissions and through submission of peer reviewed articles and other information. Health Canada should ensure that appropriate research determines guidelines that avoid risk of harm to humans and animal life. This research should be conducted before continuing to support industrial wind energy development. February 21, 2013 – West Virginia: This is a case about bats, wind turbines, and two federal polices, one favoring protection of endangered species and the other encouraging development of renewable energy resources. It began on June 10, 2009, when Plaintiffs Animal Welfare Institute (“AWI”), Mountain Communities for Responsible Energy (“MCRE”), and David G. Cowan (collectively, “Plaintiffs”) brought an action seeking declaratory and injunctive relief against Defendants Beech Ridge Energy LLC (“Beech Ridge Energy”) and Invenergy Wind LLC (“Invenergy”) (collectively, “Defendants”). Plaintiffs allege that Defendants’ construction and future operation of the Beech Ridge wind energy project (“Beech Ridge Project”), located in Greenbrier County, West Virginia, will “take” endangered Indiana bats, in violation of § 9 of the Endangered Species Act (“ESA”), 16 U.S.C. § 1538(a)(1)(B). One month after this action was initiated, Defendants filed an answer and brought a counterclaim for costs. The next day, Plaintiffs filed a motion for a preliminary injunction and Defendants thereafter filed an opposition. On July 14, 2009, the Court conducted a telephone status conference with the parties and set a hearing on the preliminary injunction motion for August 11, 2009, but requested that the parties advise the Court by August 4, 2009 whether they would consent to treat the hearing as one on 2 the merits, pursuant to Federal Rule of Civil Procedure 65(a)(2). On July 30, 2009, with consent of the parties, the Court consolidated the preliminary injunction hearing with a trial on the merits, rescheduled the hearing for October 21, 2009 and set an accelerated discovery and briefing schedule.1 Defendants agreed to continue construction on only 40 of the 124 planned turbines, pending a disposition of the merits. The Court held a four day trial on October 21-23, and 29, 2009. The development of wind farms is a controversial land use issue in Ohio, as in other states. Arguments abound on both sides and revolve around private property rights, community land use planning, green energy, preservation of open landscapes and wildlife impacts. It is this last factor–impacts on wildlife–that convinced a federal court to halt a wind development project in the Appalachian mountains of West Virginia, much to the dismay of developers of the $300 million project. The Beech Ridge wind energy project involves construction of 122 wind turbines along the ridgeline of the Appalachian mountains in Greenbrier County. About forty of the turbines are currently in the construction phase, but the federal court has issued an injunction stopping construction of any additional turbines and limiting existing turbine use to the bat’s winter hibernation period. The reason: project developers failed to take seriously the issue of harm to the Indiana bat. 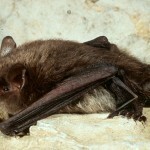 The Indiana Bat is on the list of “endangered” species, and interference with the animal or its habitat is prohibited by the federal Endangered Species Act (ESA). The wind project developers did hire an environmental consultant to examine the situation, but the consultant repeatedly disregarded information and advice from the U.S. Fish and Wildlife Service (FWS) that would have more accurately identified the Indiana bat population. The court critized the consultant’s efforts, stating that “[s]earching for bats near proposed wind turbine locations for one year instead of three, looking in one season rather than three, and using only one method to detect bats was wholly inadequate to a fair assessment.” Later surveys revealed the existence of two caves within ten miles of the project that are home to hundreds of bats, including Indiana bats, and evidence suggested that nearly 7,000 bats would die each year because of the project. WASHINGTON, DC (ENS) – In the first federal lawsuit challenging an industrial wind energy project on environmental grounds, a federal court ruled Tuesday that a wind farm under construction in Greenbrier County, West Virginia would kill and injure endangered Indiana bats in violation of the Endangered Species Act. In a case brought by two environmental groups and an individual caver, Judge Roger Titus of U.S. District Court in Maryland decided that the wind farm developer could finish construction of the 40 wind turbines that are partially completed, but granted an injunction against operation of the turbines except during the winter months when bats are in hibernation.